In 1998, Edward published his first book, One Last Time, and his related appearance on Larry King Live was so popular, phone calls overwhelmed the show’s switchboard. Due to his sudden demand, he became one of the first psychics to air a television show starting with his program Crossing Over With John Edward in 2000. It ran for four seasons and was the first syndicated TV show exclusively about psychic mediumship. 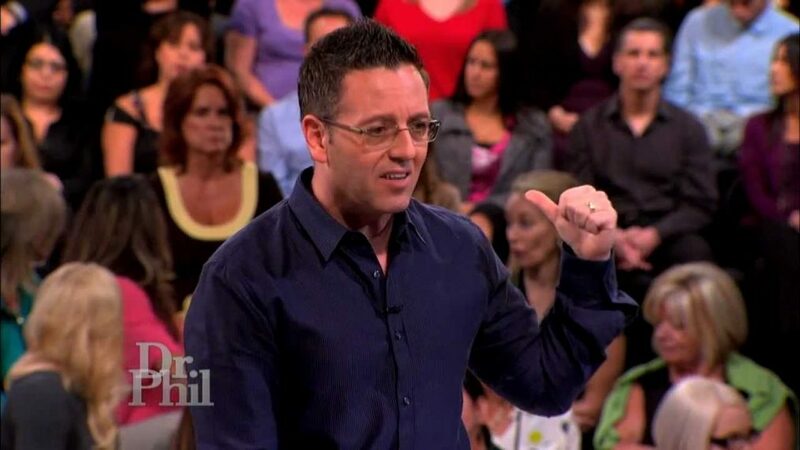 He currently has a show on Facebook Watch called The Psychic John Edward. DuBois refers to herself as a profiler and medium, as she feels there is a negative connotation associated with the word "psychic." She became famous for assisting the Texas Rangers and local Arizona authorities with cases; however, these agencies have all either denied her involvement or assert that she was unable to contribute anything worthwhile to an investigation. DuBois' life experiences were made into the NBC show Medium, in which she was portrayed by Patricia Arquette. The medium currently offers private readings and attends occasional spiritual events. In addition to his own show in the early 00s, Beyond With James Van Praagh, Van Praagh also served as an executive producer for the show Ghost Whisperer, which he said was based on his life as a medium. Van Praagh claims to have contacted deceased celebrities including Lucille Ball, Marilyn Monroe, Michael Jackson and Abraham Lincoln. He can be heard weekly on his radio show Talking to Spirit and contributes regularly to The Huffington Post. He recently launched the online James Van Praagh School of Mystical Arts. The loud blonde from New York is perhaps the most recognizable medium of the past decade. Despite recent issues — including a divorce from Larry, her husband of 28 years — Caputo continues to bring her signature brash style to televisions around the world. She currently travels the country with her live show Theresa Caputo Live the Experience, and a new season of her ever-popular TLC show Long Island Medium is currently airing Mondays at 8pm. The Lifetime shows Lisa Williams: Life Among the Dead and Voices From the Other Side were backed by famous television producer Merv Griffin, who Williams met on a 2004 trip to the United States from her native England. One of her talents is tapping into a “life contract,” or helping a person find their true calling or soulmate. She currently offers private readings as well as workshops and classes around the world through her Lisa Williams International School of Spiritual Development. The psychic to the stars continues to be one of the most popular mediums in the entertainment industry, counting dozens of celebrities among his client list, including Bobby Brown, La Toya Jackson, Carmen Electra and the Kardashians. Henry has been in the news for — in a reading just a few months before — seemingly predicting Alan Thicke’s death from heart failure; this has been heavily disputed by critics. In between filming Hollywood Medium With Tyler Henry, he occasionally tours with the live show 5 Life Lessons I’ve Learned From the Departed, and it was recently announced that Hollywood Medium has been renewed for a fourth season on E! Sylvia Browne was often called “America’s Most Controversial Psychic” for her role as a psychic detective in missing person cases. Most of her predictions about murdered and kidnapped loved ones were proven wrong, sometimes as she was giving them (i.e. the Sago Mine disaster). Despite this, she was a weekly guest on The Montel Williams Show and frequently appeared on Larry King Live, even holding pay-per-view events to demonstrate her abilities. Browne was convicted of fraud and theft charges in 1992, and while she received a heavy amount of negative publicity she continued to have a large following. She died in November 2013. Why is America so fascinated with psychic mediums? Whether legitimate or not, these individuals claim to be able to speak to passed loved ones and, in some cases, predict the future. To the many who have experienced grief and loss, the possibility of an existence beyond this one can be reassuring and even provide closure. The psychic and medium shares his talents in the new Lifetime half-hour series. Television has been no stranger to those who talk to the dead — there have been tons of mediums over the years who have shared their gifts with viewers. With a new psychic show, Mama Medium, now airing on TLC, we decided to look back at some of the top TV mediums. Click through the gallery above for a look at a few of the most memorable.